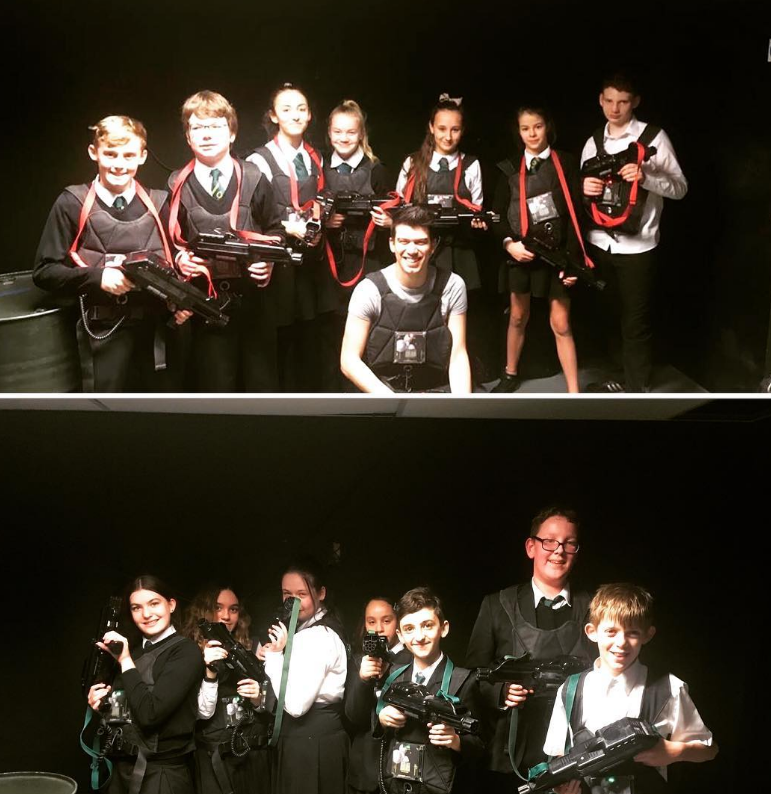 Our students thoroughly enjoyed their laser combat trip reward today, earned for progress made in Science so far this year. Students also got to hear Mr Lazarou explain how lasers work on the way home! Well done to all of the students for their continued hard work. The On the Bus scheme in Year Eight has been designed to reward our students within lessons and the wider school community for their continued efforts and hard work. Each half term different area of focus will be selected where students can earn their spot ‘On the Bus’. The most recent area of focus was Science where progress in the subject was looked at. All students in the year group have the opportunity to earn places on reward trips that include; cinema, crazy golf, laser combat and many more. The area of focused will he announced in assemblies and the lucky winners are selected based on their efforts in that particular area.